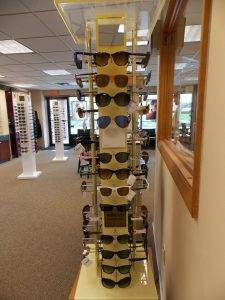 We are an in-network provider for Penn State Fashion Advantage Vision Insurance. We have The Exclusive Collection that your insurances provides in our office. 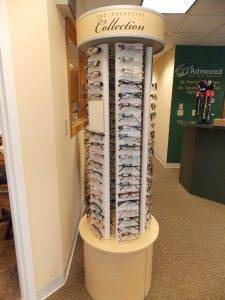 If you don’t need or wear glasses, your insurance will cover polarized sunglasses at no cost to you from this tower! Contact lens wearers, the insurance also covers contacts lenses for you!